My school has had a tough year with three teachers and 2 students battling cancers, and one of the teachers passed away last week. And it surprised everyone, and many of us (like myself) wished we’d sent cards or made phone calls like we’d been meaning to do. But our own lives take over and we take it all for granted, and then we regret the things we didn’t say. This is my first year in this district, so I don’t have the history with everyone yet. But I decided to do something about the last teacher currently out on leave. 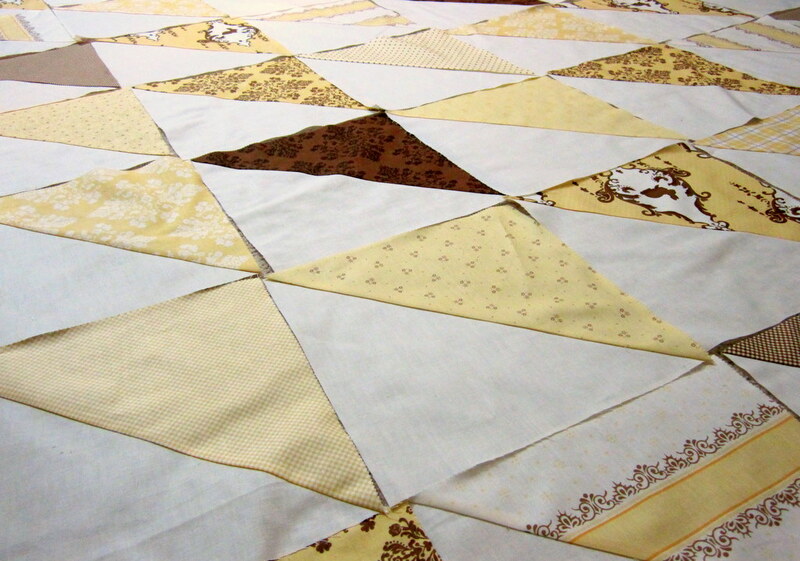 I’m making her a quilt with the yellow colorway of Lily & Will II by Bunny Hill Designs for Moda. I’m doing big half square triangles, and I have all of the blocks made. Now I’m just piecing them together.